This post is sponsored by Ocean Mist Farms. As always, all thoughts and opinions are my own. Thank you for supporting the brands that keep Lively Table running! You guys, it’s now even easier to make artichokes in just minutes! Like, less than 10 minutes. Yes, you read that right. You can make artichokes even faster than in the Instant Pot. Whaaaaat? 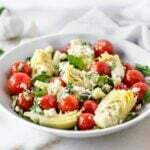 I’m super excited about Ocean Mist Farms Season & Steam Artichokes because they cook in under 10 minutes in the microwave, allowing me to make fabulous summer dishes like this amazing marinated tomato and artichoke salad without heating up the house, and without having to wait an hour for the artichokes to cook. It’s quite genius. You’ll definitely need to make this salad before the summer is over. 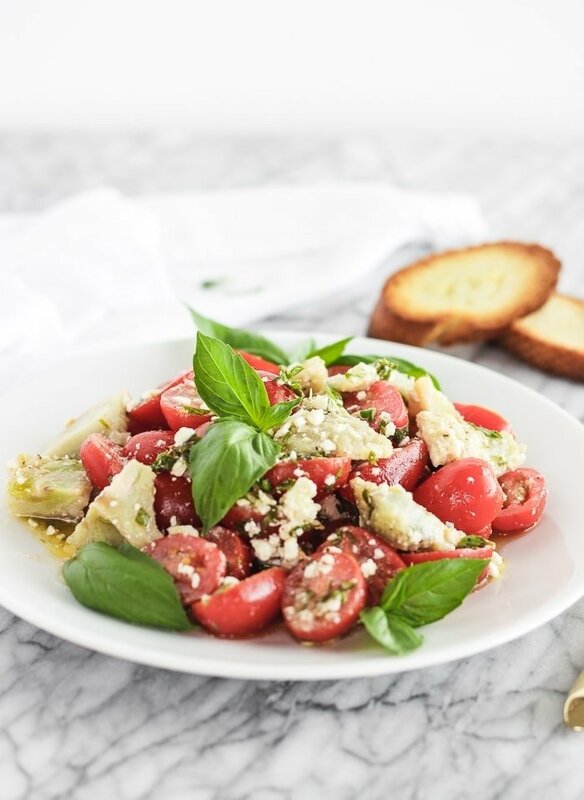 Tender artichoke hearts and ripe summer cherry tomatoes get marinated in a simple red wine and olive oil vinaigrette infused with fresh basil and oregano, and soak up all of that flavorful glory. And you have a couple free hours to do anything you please. Or get the rest of dinner ready, or whatever. Or you could just eat this salad for dinner by itself because it’s that delicious. I wouldn’t judge if you picked up a fork and set down with the whole bowl and a glass of wine. Just sayin’. 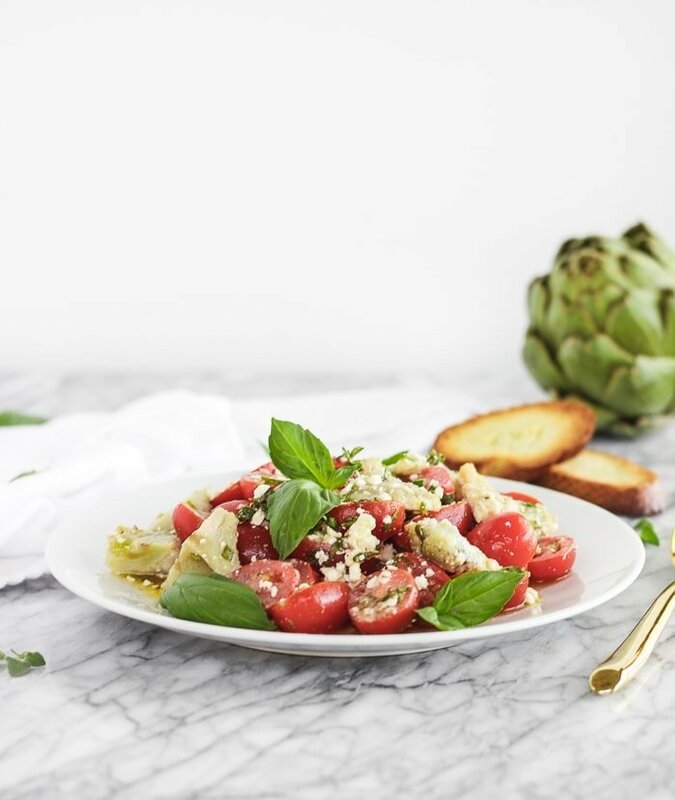 But in case you do want a full meal, this marinated tomato and artichoke salad pairs beautifully with so many things! Serve it as a side dish with grilled chicken, steak, or fish. Or put it on top or some cooked quinoa or farro and chickpeas for a delicious vegetarian grain bowl. Or just serve it with a fresh loaf of bread. It is so flavorful and delicious no matter what. If you want, try swapping out whatever fresh herbs you have on hand. I love basil and oregano in the summer (and I also grow them at home so they’re readily available for me) but you could also try parsley, rosemary, or thyme. What matters is that you let the tomatoes and artichokes sit in the fridge for a bit to soak in all of the delicious flavor from the vinaigrette. Healthy summer side dishes have never been easier or more delicious! 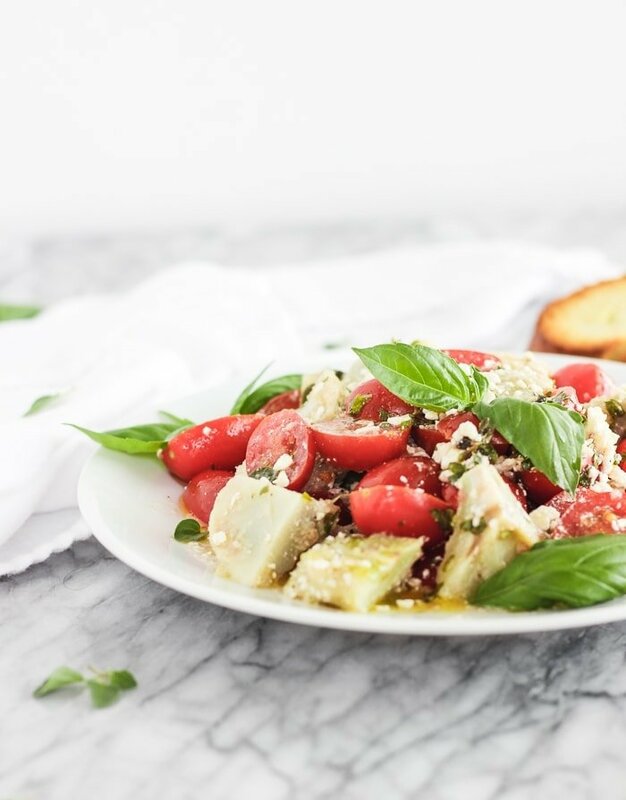 Tell me, what would you serve this marinated tomato and artichoke salad with?